The benchmark CFR import price of 62% iron ore fines at China's Tianjin extended its winning streak, jumping to $158 on Tuesday, just shy of a 15-month high. The steelmaking ingredient has been boosted by better profitability at Chinese steelmakers and a draw down of inventory at the country's ports. Stockpiles of iron ore fell to a 3-year low this week of 66.8 million tonnes, down from highs above 100 million tonnes last year. 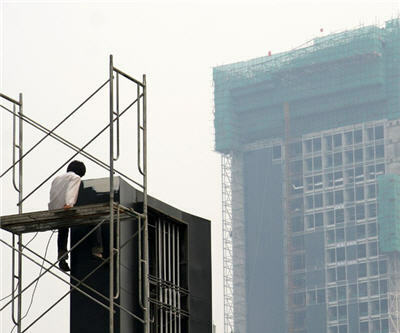 The move higher came despite news on Tuesday that Chinese local authorities have moved to cool down the resurgent housing sector. Today's announcement of tighter lending rules for home loans could be the first of further controls on the country's rampant construction sector which has been fuelled by local government lending. A top Chinese bank recently sounded the alarm about "impulsive" local governments over-investing in the name of urbanization, calling local government debt – estimated at 10 trillion yuan or roughly $1.6 trillion – a time bomb for the Chinese economy. Any slowdown of China's massive infrastructure build-out – the country consumes more than 40% of the world's copper, 60% of its iron ore, is by far the biggest importer of coal and almost produces more steel than the rest of the world combined – could have a huge impact on the profitability of mining and metals companies.